This Men’s Afternoon Tea is a little bit posh. Here you’ll find no finger sandwiches in sight but rather a grilled rib eye steak sandwich and free range pork & black truffle sausage rolls. 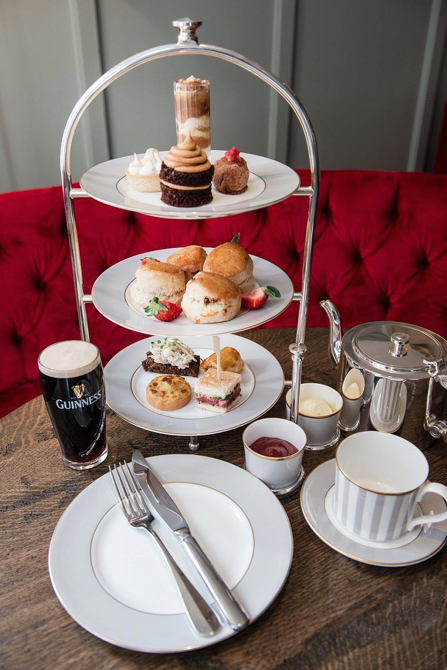 Wash it all down with a pint of Guinness or authentic Irish whiskey for £28/£35 pp. 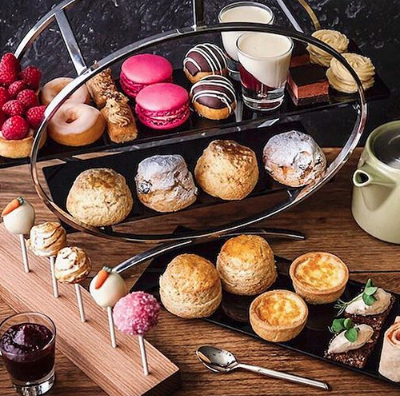 We had the pleasure of visiting this rooftop afternoon tea hotspot last year in their exclusive skylounge (review here). 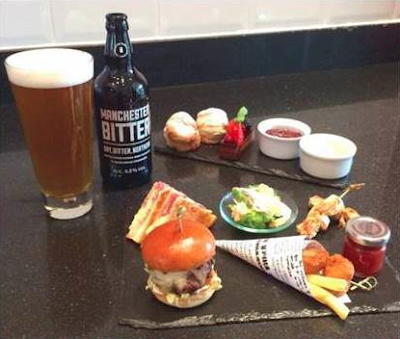 Now this Afternoon Tea in the city has been given a manly makeover to include mini burgers, fish and chips and a pint of Manchester Bitter. Price pp. is £21/24 and booking is required. Dainty but macho nonetheless, this offering is filled with meaty bites including a Brecon Venison burger and Welsh sirloin steak with caramelised onions and garlic mushroom on toasted ciabatta. 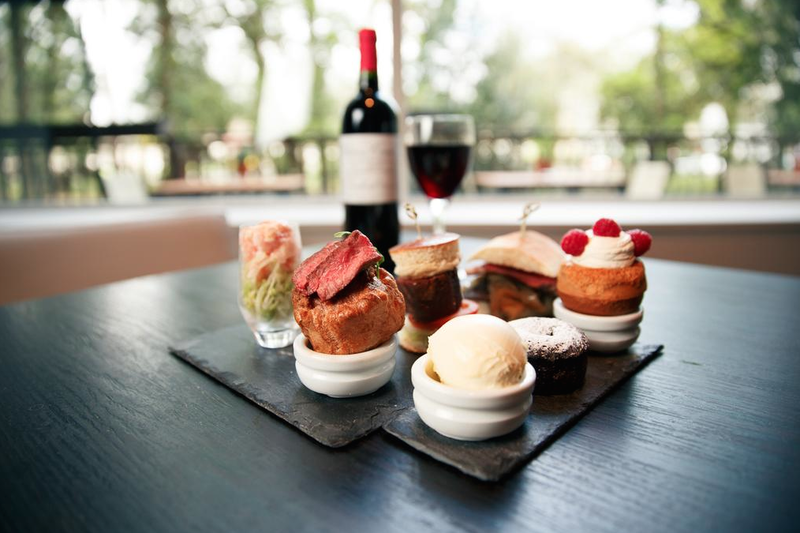 Be sure to leave some room for the Rum Baba filled with Chantilly cream and raspberries. 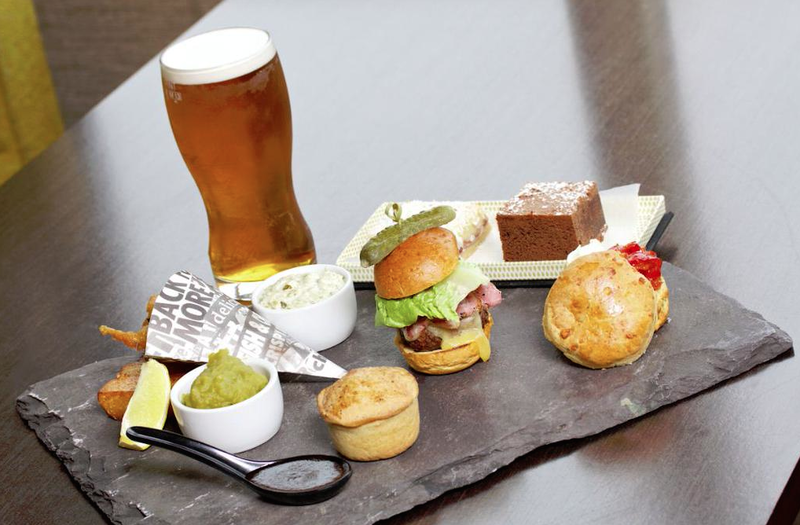 All this for £19.50pp. Scones with a twist are on the menu at this Manchester retreat with cream cheese and red pepper relish relegating the classic the jam and cream. Top it off with a good old Manchester Tart for a sweet finish for just £16.95 pp. Check out our review from when we visited last year. 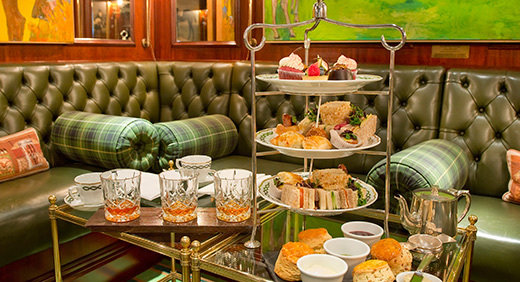 We’re huge fans of the old world glamour and delectable Afternoon Tea menus at one of our favourite London tea parlours and have had the pleasure of indulging in both its traditional and Gentleman’s tea options (See our review). Treat dad to a savoury medley including chicken lollipop skewer and toad in the hole and to finish a trio of heady whiskeys. Prices start at £36.50 pp. Are you treating your dad to tea this Father’s Day? Tweet us @TeacupReview!